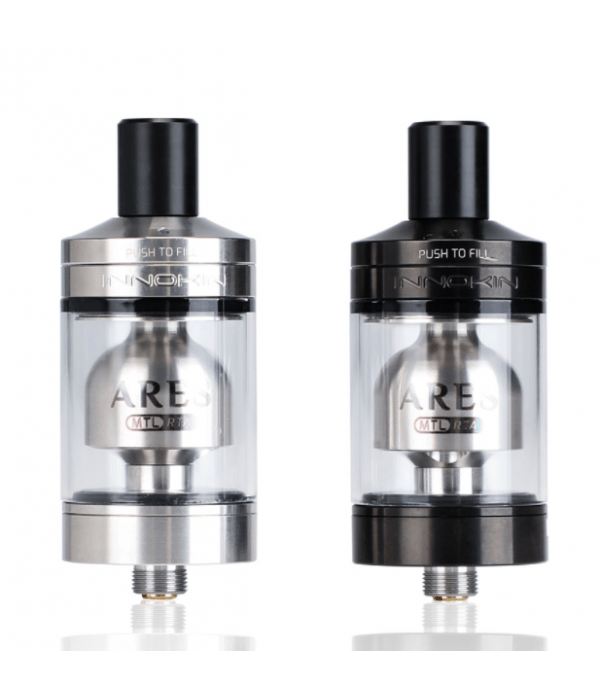 Innokin Ares is a unique RTA tank designed for mouth to lung (MTL) vapers with slide top filling design and a drop-in coil sky build deck. 5ml Standard Versio. 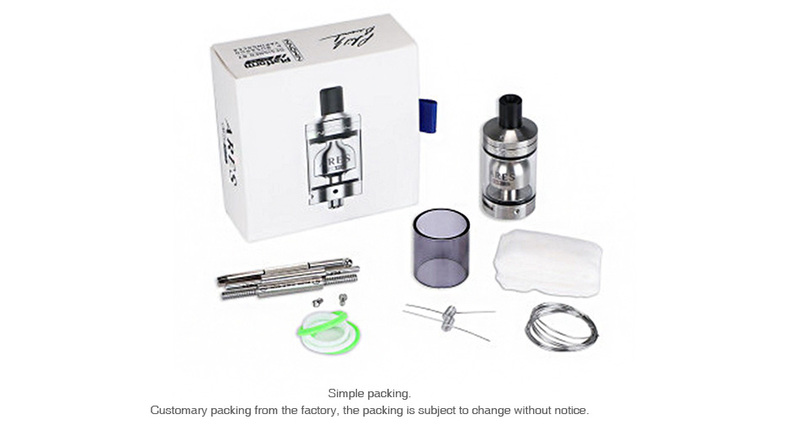 Ares atomizer is a collaboration between Phil Busardo, Dimitris Agrafiotis, and Innokin which aims to create an affordable mouth to lung rebuildable tank atomizer with outstanding vape for MTL crowd. 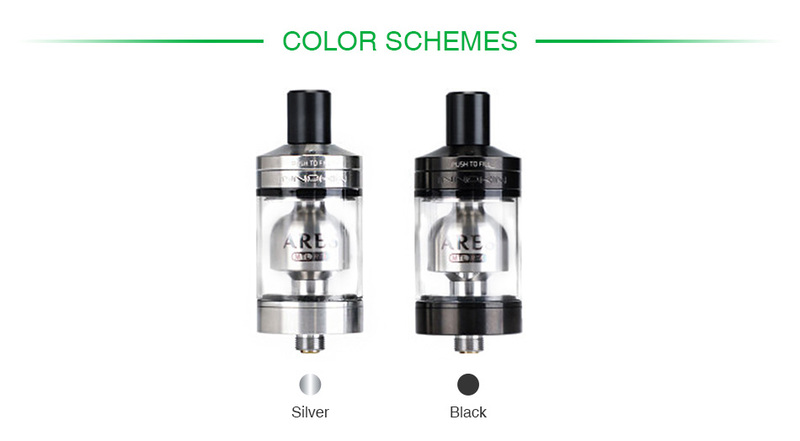 Ares RTA adopts convenient slide top filling design and a drop-in coil sky build deck for easy single coil building. 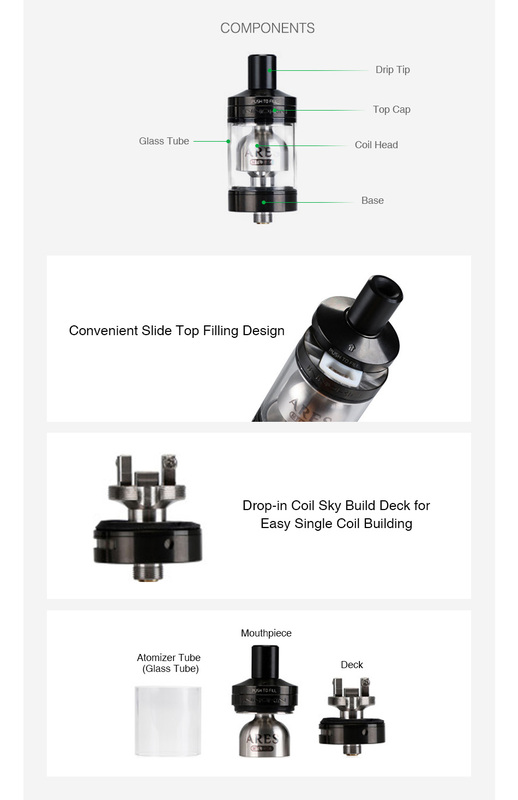 Together with a liquid barrier to help prevent leaking and seepage, and a user adjustable airflow with numerous settings, Innokin Ares will bring an amazing vaping for MTL lovers. 5ml standard Version and 2ml TPD Version available. You also can select Wire, Wick & Tool for easy building in Vapemantra.